You want thingamabobs? I’ve got twenty! I’ve been on a bit of a gadget binge lately. 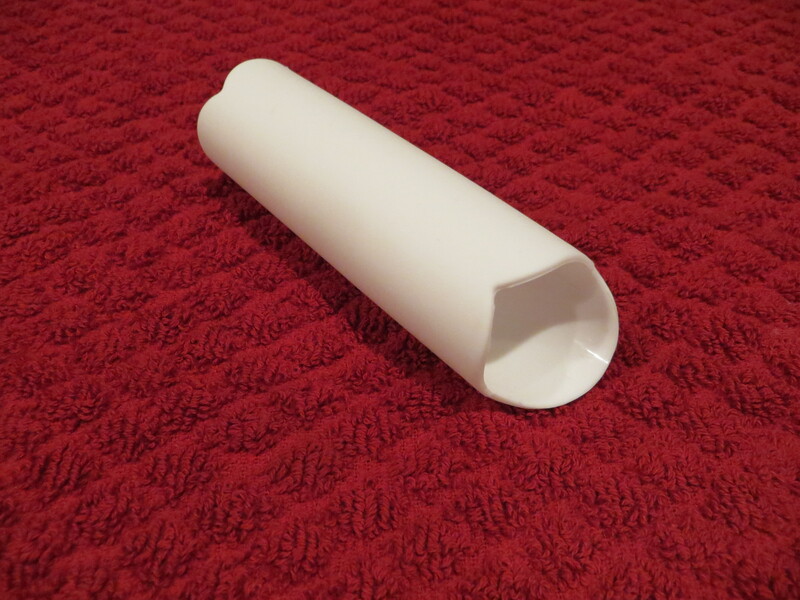 My husband bought me a pasta roller a couple of Christmas’ ago. I had put it on my list at the last minute. One of those, “You know, I’ve always wanted one but it seems like such a seldom-used gadget type of thing.” I am ashamed to admit that it sat in the box in the cupboard for a year after receipt. I think it was primarily a time thing. That block that I think many of us face in the kitchen: “It takes too much time!” I finally pulled it out a few months ago. I was completely taken by the velvety softness of the dough that rolled out of the press…the satisfying turn of the crank…I was sold. That being said, I still haven’t made a ton of pasta. Though I did recently buy a ravioli mold and two ravioli stamps. There is pasta on the horizon. I also have a streak of cheap within me. 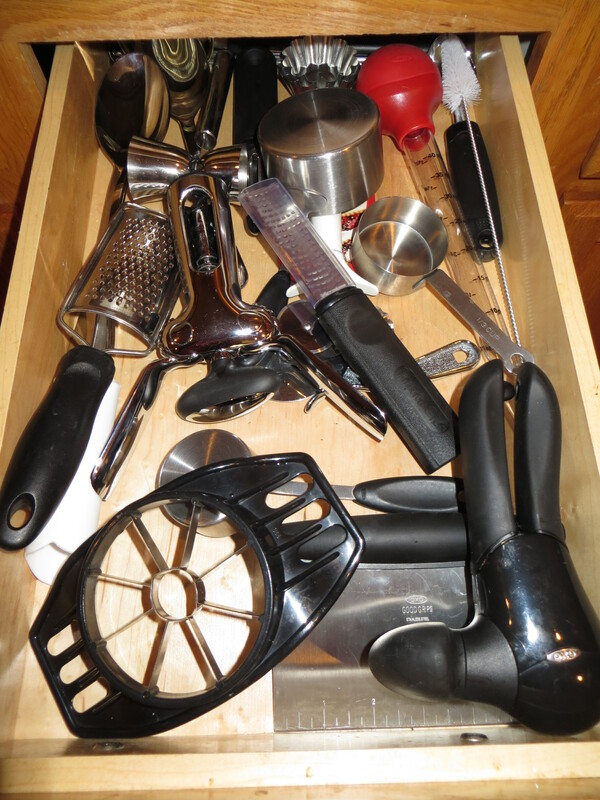 A reluctance to spend money on kitchen gidgety gadgets with such specific purpose that they’re only used a couple of times a year. Don’t get me wrong, I still have a spritz cookie press and a food mill and an apple corer/peeler and a few fancy attachments for the Kitchen Aid mixer. Oh, and I did recently purchase a Vinturi wine aerator (attach amazon link), which is a little piece of heaven on earth. I indulge in some areas, cheap out in others. 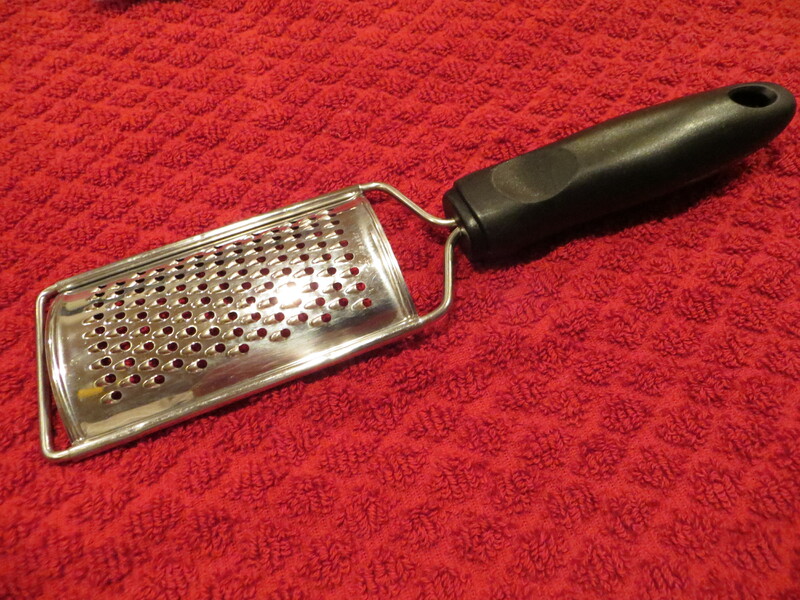 For instance, my “microplane.” I’ve had this “microplane” in my kitchen drawer for years. It was not touted as a “microplane,” but I do seem to recall promises on the package about zesting. It does not work. It has never worked. It was inexpensive. So, when I need zest I use my trusty vegetable peeler. And then a knife to finely chop the results. I know. NOT THE SAME!!! And, it’s not unreasonable to ask, “Why do you still have the non-functioning microplane in your drawer?” Because I occasionally try it to see if it’s somehow improved with age. Or to see if, maybe all of those times I tried it before, it was simply user error. Sigh. Word to the wise: unlike good wine, faulty microplanes do not improve with age. A few months ago a friend of mine was having a Pampered Chef party. I didn’t attend the party itself, but purchased a couple of small items (read: too cheap to buy large items). I wanted that little rubber sleeve for rubbing the peel off garlic. I can’t wait to can dill pickles this summer! I’m going to be a garlic peeling fool! I also indulged in a microplane. It arrived shortly before Christmas and I quickly had an opportunity to try it out on a cookie batter that called for orange zest. I grabbed the microplane. I was amazed. I was delighted. 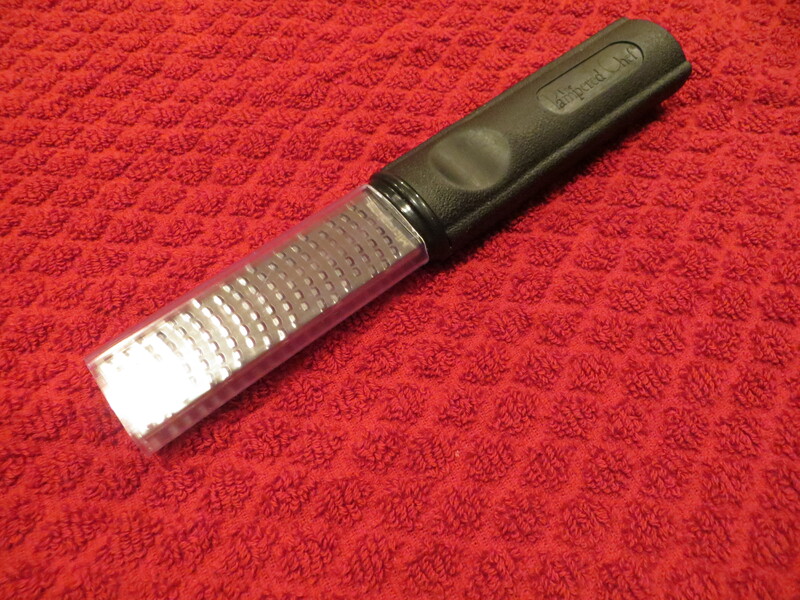 I was…aghast that I had failed, until then, to put out the money for a good microplane. I’ll have you know that I’ve since purchased a turkey baster. Truly honestly I did not have a turkey baster. It seemed unnecessary to purchase something that I don’t use but a couple of times a year. But who’s cursing when she’s trying to baste the turkey with a large spoon? I bought a hand mixer, too. For those small jobs that don’t require pulling out the big Kitchen Aid. Currently on the list: mandolin, crepe pan and a kitchen torch. Cheap girl is screaming, “Really?! How often are you going to use that crap!” The chef within simply smiles a happy little smile and dreams of cream brulee. I might need a bigger kitchen. I, too, have found the joy of using a Microplane. I got my first one over the Christmas holidays, and I use it frequently. Other favorites? I love my hand-held juicer, my OXO jigger for cocktails, and a good cutting board. I also think owning a great knife and learning how to use it is life-changing. So many kitchen tasks can be accomplished with a knife. I’ve considered a hand-held juicer but remain fond on my great grandmother’s old glass juicer. The kind that sits on the counter with the nob of sorts in the middle and channel around the nob.